Whether you're looking for a slight tweak to how our current products work or need a whole new solution, we can help! Teldio’s team prides itself on delivering solutions that help customers solve real operational challenges. We offer a variety of products which can be combined to create unique solutions, but if you can’t find exactly what you’re looking for, know that our team is ready to get to work for you! Sky’s the limit. If you’re looking for a custom solution and think we might be able to help, be sure to reach out! 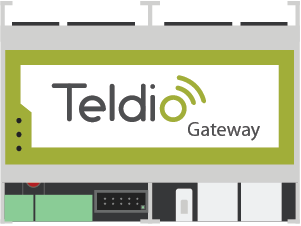 For certain deployments, we utilize the Teldio Gateway, a highly customizable hardware platform, to tailor solutions to the exact need of our customers.